Punches to mark leather or skin to hammer. The maximum for a correct marking hammer area is 30x30mm, measures more major it is advisable to use a die press. The punches are solid, single USA piece, made entirely of steel, ensuring in this way a large robot and a perfect markup. Punches to mark hammer skin and leather, wet or dry. These steel seals to mark leather, do not serve to mark feather or very thin skins. 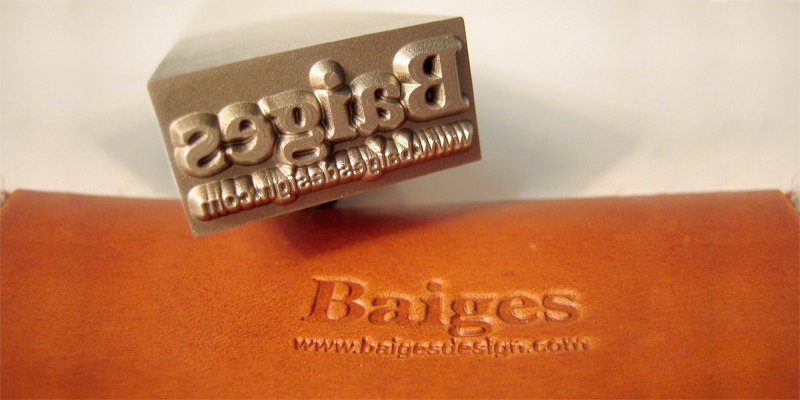 I´m looking to do a custom made mark leather with my company logo in order to brand dog collars that are made of leather. I´ll appreciate if you can please send me a quote. Please send me your logo and its ize via email and we will make you a quotation.